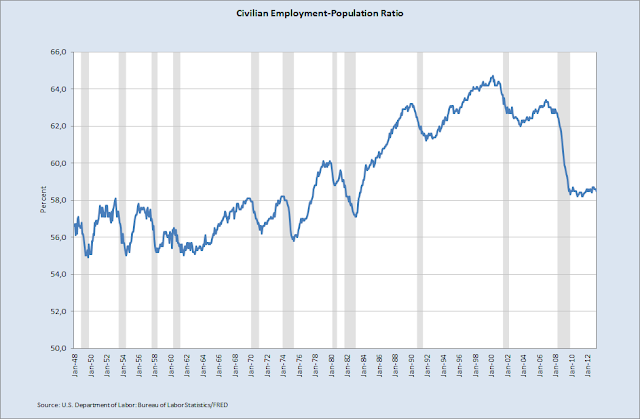 In March, the employment to total population ratio in the U.S. was 58.5%. Following the "financial crisis" in 2008, the ratio bottomed at 58.2% in November 2010 and has since improved little. 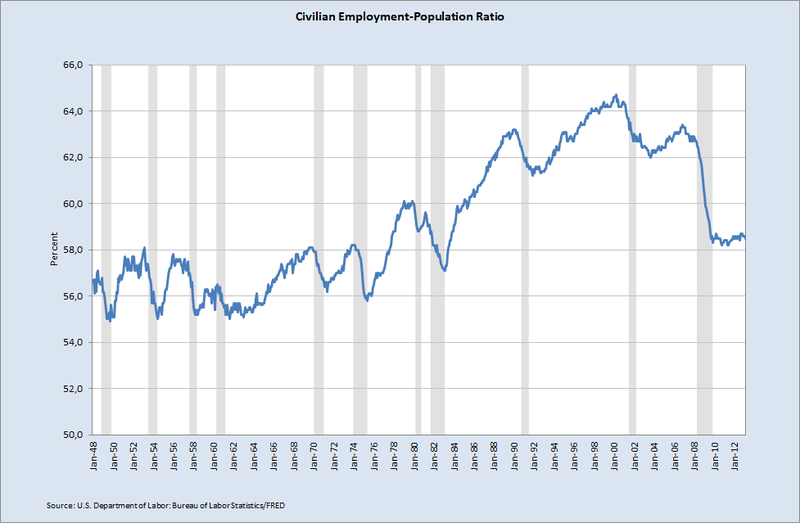 The current ratio is at similar levels as it was in October 1983, almost 30 years ago.